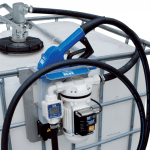 Diesel Exhaust Fluid Drum Piston Pump Urea Hand Pumps The delivery system includes a hand pump easy to install and to remove from the drum. The delivery is realized through the spout. Piston Hand Pump Price: $190.40 Quantity: Inventory Restriction Inventory Failure Success! 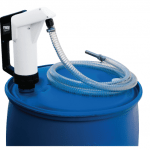 FleetDEF 55 Gallon Drum. 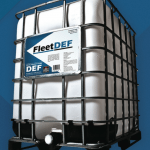 FleetDEF Diesel Exhaust Fluid is necessary for use in diesel engines with Selective Catalytic Reduction (SCR) systems. This is designed to meet all EPA regulations to reduce NOx emissions from diesel exhaust. FleetDEF is non-toxic, non-polluting, non-flammable solution. #005510 Price: $205.80 Quantity: Inventory Restriction Inventory Failure Success! 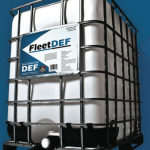 FleetDEF 330 Gallon Tote FleetDEF Diesel Exhaust Fluid is necessary for use in diesel engines with Selective Catalytic Reduction (SCR) systems. This is designed to meet all EPA regulations to reduce NOx emissions from diesel exhaust. FleetDEF is non-toxic, non-polluting, non-flammable solution. #033010 Price: $1,075.70 Quantity: Inventory Restriction Inventory Failure Success! 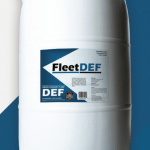 FleetDEF 275 Gallon Tote FleetDEF Diesel Exhaust Fluid is necessary for use in diesel engines with Selective Catalytic Reduction (SCR) systems. This is designed to meet all EPA regulations to reduce NOx emissions from diesel exhaust. FleetDEF is non-toxic, non-polluting, non-flammable solution. #027510 Price: $922.25 Quantity: Inventory Restriction Inventory Failure Success!